Product prices and availability are accurate as of 2019-04-09 20:26:06 EDT and are subject to change. Any price and availability information displayed on http://www.amazon.com/ at the time of purchase will apply to the purchase of this product. 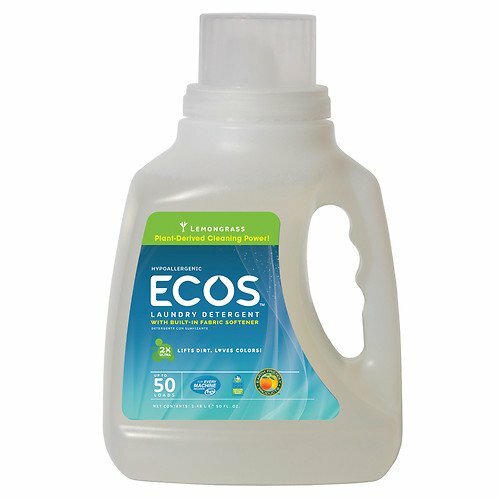 Ecos® is formulated to be the purest, greenest, most effective 100% natural detergent. With its neutral pH, plant-based Ecos® cleans to the most exacting standards, yet us extremely gentle on fabrics. Designed to quickly remove ground-in dirt and stains, Ecos® is ultra concentrated: requires only one ounce per HE load. A natural soy softener is built in for soft, static free clothes.